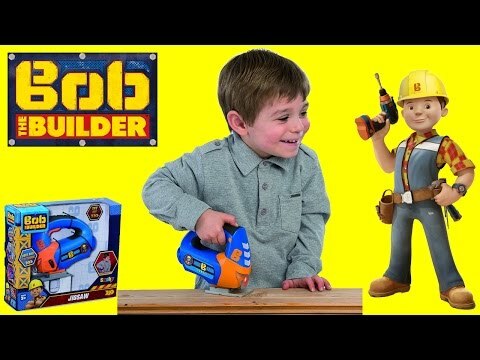 Bob the builder electronic Jigsaw. Press the button and you will see vertical movements of the blade as the real one. You will hear the mechanical sound and see the associated light. A big THANKYOU to you yogee, the toys were fanastic, my grandsons will be 'over the moon' I am sure, delivery was spot on, one of the smoothest purchases I've ever experienced.Well done. I wish all of the team at yogee a very merry christmas and a happy and prosperous new year.